By CNN'S NICK PATON WALSH AND ALI M. LATIFI CONTRIBUTED TO THIS REPORT. 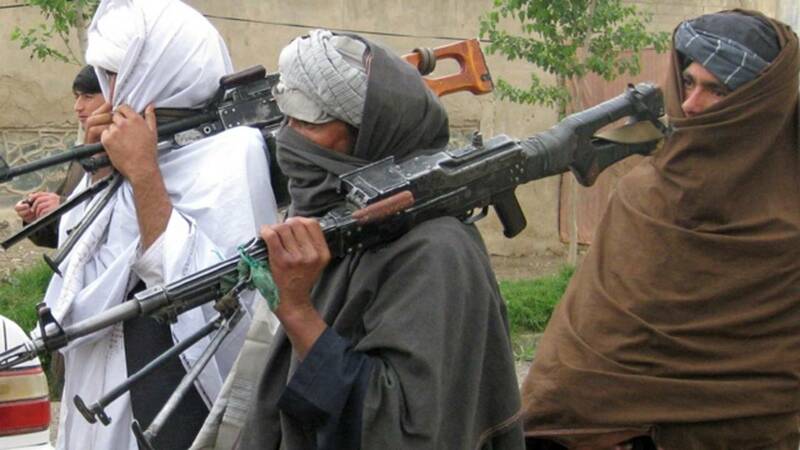 (CNN) - The Taliban have strengthened their grip in Afghanistan over the past three years, according to a new report released by the US government's own ombudsman of the war. In its quarterly report for the US Congress, the Special Inspector General for Afghan Reconstruction (SIGAR) said that the Afghan government currently controls or influences only 55.5% of the country's districts, marking the lowest level recorded since SIGAR began tracking district control in November 2015. Translated into layman's terms, the report measures "control" -- in which one side runs an area -- and "influence" -- in which one side has the upper hand. In November 2015, the Afghan government controlled 72% of districts in the country, but now controls just 56% of them. Insurgent influence or control has risen to 12.5% of districts from just 7% and approximately a third of Afghanistan is a "contested" area. The war in Afghanistan is the only US foreign policy issue on which US President Donald Trump has delivered a lengthy personal delineation of policy and goals. In August 2017 he said: "One way or another, these problems will be solved — I'm a problem solver — and, in the end, we will win." Yet the challenges have been clear for the new US commander in Afghanistan, special forces veteran Gen. Scott Miller. Earlier this month, the top police and intelligence chief of the southern region of Kandahar was shot dead meters away from him during a maximum-security meeting; the gunman also injured one of Miller's top officers. As the Taliban continues to slightly increase its territorial impact, civilian deaths keep rising. An escalation in insurgent attacks and fighting between the Taliban and government forces has helped drive the number of civilian deaths this year to its highest point on record. A total of 1,692 civilians were killed by June 30, according to the United Nations Assistance Mission in Afghanistan (UNAMA). From January 1 to September 30, 313 civilians were killed and 335 injuries in US-backed air strikes alone -- a 39% increase from 2017, according to the report, citing UNAMA data. Resolute Support, the larger non-combat NATO-led training and advisory mission, said far fewer civilians had died from air strikes, reporting 102 civilian deaths from January to August 15, 2018. The Afghan National Security Forces (ANDSF), who are tasked with defending the war-ravaged country from a continuing insurgency, have struggled to maintain personnel -- indicating that a multi-billion dollar training program funded by the US is failing. The ANDSF is short of roughly 40,000 personnel -- or 11% -- of its target strength of 352,000 personnel. No explanation was provided for the drop in those numbers, although the growth of the insurgency over the past few years will probably have led to the deaths of many police or army personnel, or contributed to the decision of others to leave the forces. The United States Department of Justice has also raised concerns about the Afghan attorney general's performance, citing corruption and "unproductive, corrupt and patronage-laden" practices. Earlier this month, Afghans rode a wave of hope that the notoriously corrupt and inefficient political system in Afghanistan could be overhauled as they cast their ballots in a vote that had already been delayed for three years because of security concerns. But the days leading up to the vote were marred with violence. The Taliban claimed responsibility for the October 18 attack on the powerful police chief of Kandahar province, Gen. Abdul Raziq Achakzai. Hours after his death, they issued another statement warning Afghans not to participate in what they called "an American project from start to finish." The Taliban message said the group intended to close all "major and minor roads" throughout the country and urged Afghans to stay indoors. "We do not want to harm any common Afghan and therefore ask the public and especially city dwellers to refrain from participating or casting votes during elections," it said. A candidate for parliament in Helmand province, Abdul Jabar Qahraman, was killed with three others by a bomb in his campaign office days before the election. After casting his vote, Afghan President Ashraf Ghani thanked law enforcement, election officials and citizens who made the election possible "despite the risks involved." Correction: An earlier version of this story and its headline mistakenly included a quote from the 2016 Special Inspector General for Afghan Reconstruction's report.